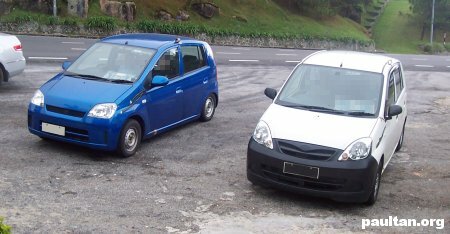 New spyshots of the new Kancil/Kelisa Replacement Model are in! These shots are thanks to reader Nicholas Gan who snapped these photos at a top secret location somewhere in town. Nah, it’s actually somewhere up Genting. You know all those jokes about how Kancils don’t have enough power to go up the hill? Well, this just proves the new replacement can! There are two cars here. The blue one is the original Daihatsu Mira design straight from Japan. The other one is somewhat different, it looks like the Perodua XX06 Concept shown at the KL International Motor Show. So it’s likely that they will be using this facelift for the final product or they’re just borrowing the body panels. It’s likely to be the first one though. 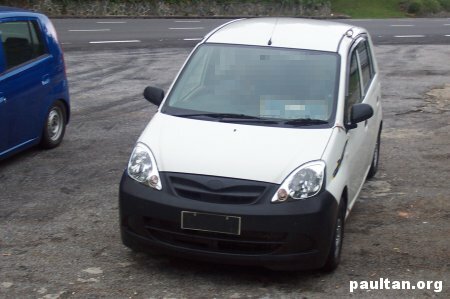 Let’s have a look at this new model by Perodua due to be launched sometime next year.